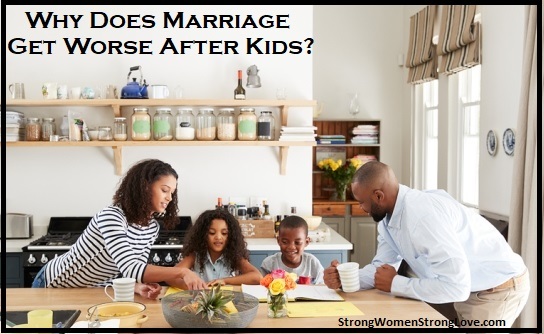 Did your relationship go downhill after your kids arrived? You're far from alone. Author and psychology professor Matthew D. Johnson doesn't mince words about it: For around 30 years, researchers have studied how having children affects a marriage, and the results are conclusive: the relationship between spouses suffers once kids come along. Comparing couples with and without children, researchers found that the rate of the decline in relationship satisfaction is nearly twice as steep for couples who have children than for childless couples. In the event that a pregnancy is unplanned, the parents experience even greater negative impacts on their relationship.